Reflecting the beauty of wood Unica Doors have modern construction and elegant finish to match any decor. Unica Doors highlight an ultra-thin packaging and pillar with many completing alternatives. A wire brushed complete features the natural magnificence of the grain, or pick a super smooth polish in a scope of hues to coordinate any stylistic theme. Restrictive and contemporary Unica Collection joins smooth, rich construction in unmistakable surfaces and hues. Manufactured panels and oak trims offer significantly more assortment to this top of the line. 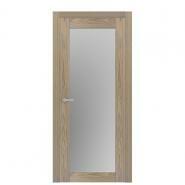 I have received fast and efficient help from the Doors Depot when selecting an interior door for my requirements. Thank you! Everything is good, from the prices to service and delivery.